Turn pictures of your favorite moments into cross stitch patterns of almost any size and decide which colors are used! 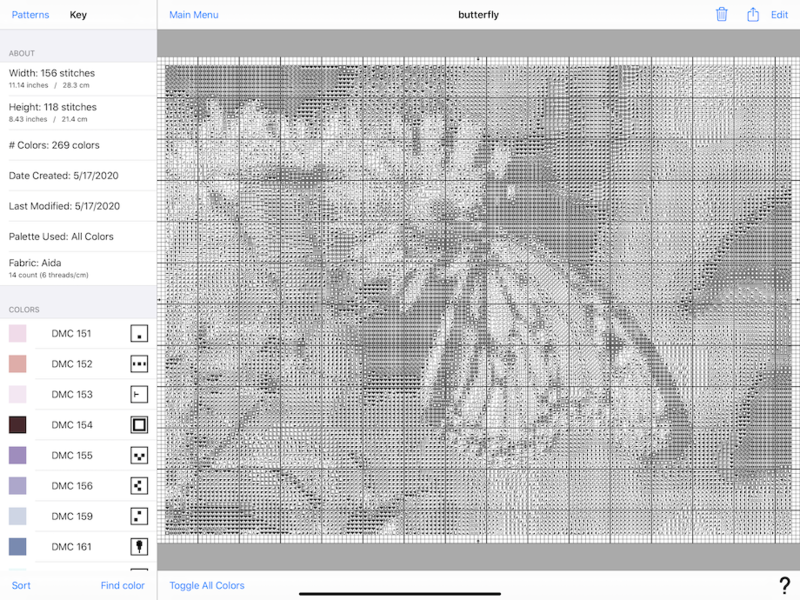 In addition to creating patterns, Cross Stitch Creator allows you colorize and manipulate stitches to mark your progress. 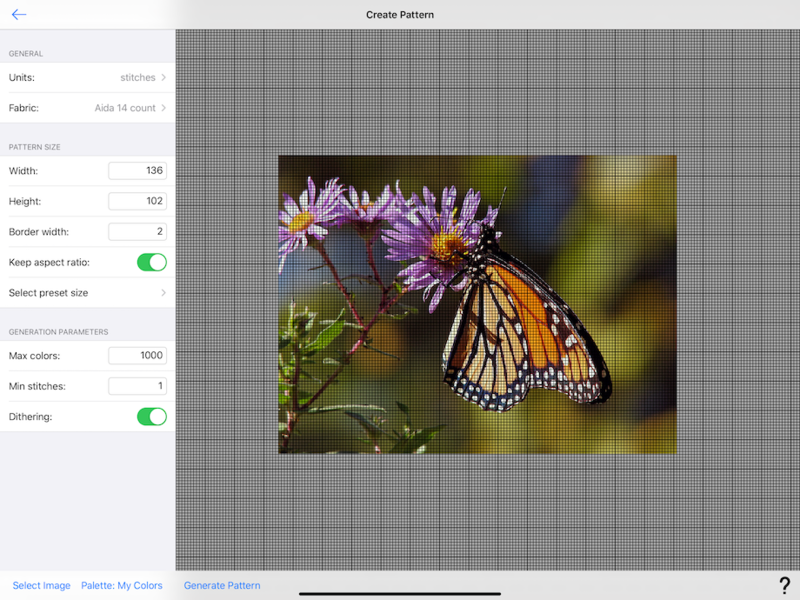 You can also save the pattern to your photo library for printing or other uses. Several generation parameters such as minimum number of stitches for each thread color and maximum number of colors allowed. Although we try our best, thread colors may not appear to be completely accurate. 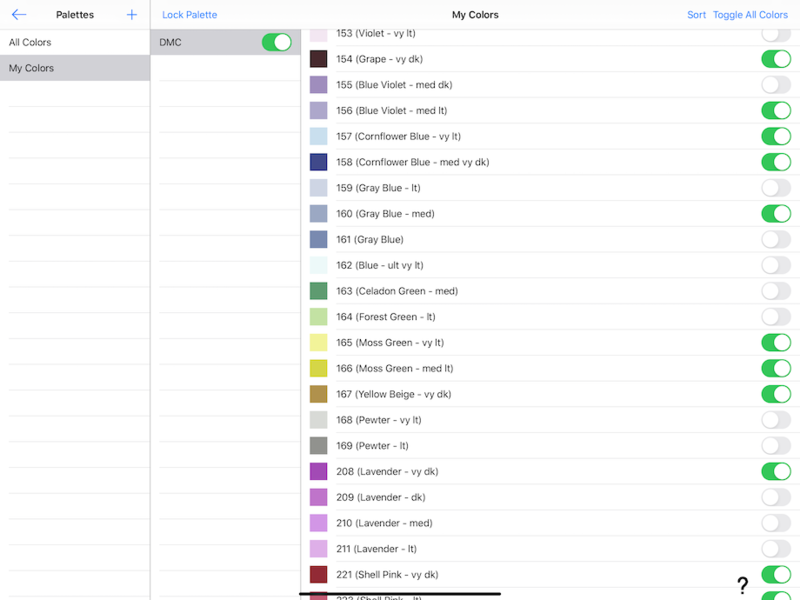 Perception of thread color depends on multiple factors including, but not limited to, display settings such as brightness and night shift, ambient light conditions, and neighboring colors in the pattern. Please use your best judgement in determining which colors to actually use when stitching the pattern.